Plans started to form the Saturday before the event during a QSO on the 720 repeater between myself (ZL2KGF) and Brett (ZL2VZ). Discussions on an ideal location and the gear that would be needed were had; ZL2VZ put the idea forward of going up Paritutu Rock which we both agreed would be a good location. 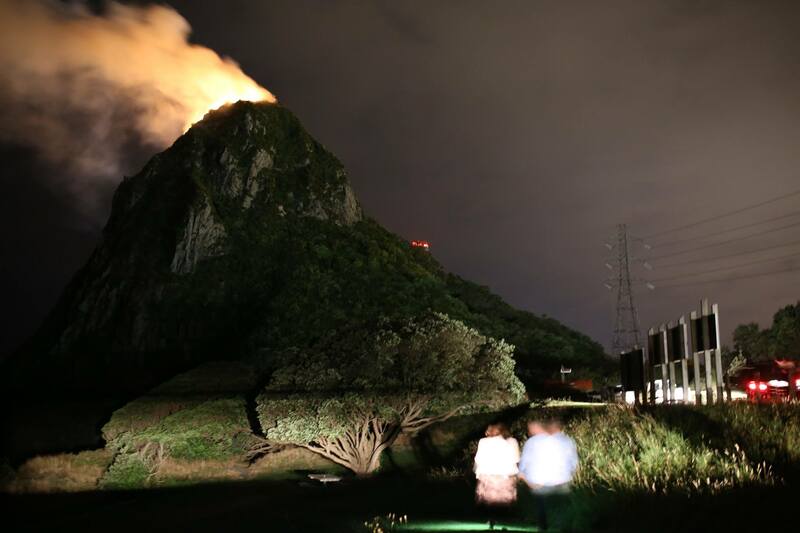 It was then decided that we would head up there on Tuesday to scope the area out and make sure that there was sufficient room to setup without being in the way of general public. Antenna selection was next on the cards with neither of us having a portable 2m/70cm beam to take; ZL2VZ put the forward that with there would be someone in the club that might have something suitable. ZL2VZ had the power sorted with 2x 7AH 12v SLA batteries and I was taking the Yaesu 857D given us both FM and SSB capabilities. During this QSO both Matt ZL1XTC and Daniel ZL2DRV joined in and advised that they would be keen to come along. We now had our group sorted and location set. Over the next day I arrange for the use of a Tape Measure 2m/70cm Antenna from Jonno ZL2JBK. ZL2VZ also advised that he would not be able to attend as he had family commitments to attend but was happy to lend the 2 batteries for us to use. 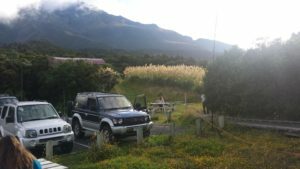 Tuesday came and ZL2VZ and I met at the base of Paritutu Rock ready for the climb to the top and check out the setup and see what additional gear might be needed. The climb to the top reminded both of us that we were not as fit as we r eally should be, those stairs sure take it out of you. Once at the top the view was worth the climb and we agreed that this would be a good location to setup. 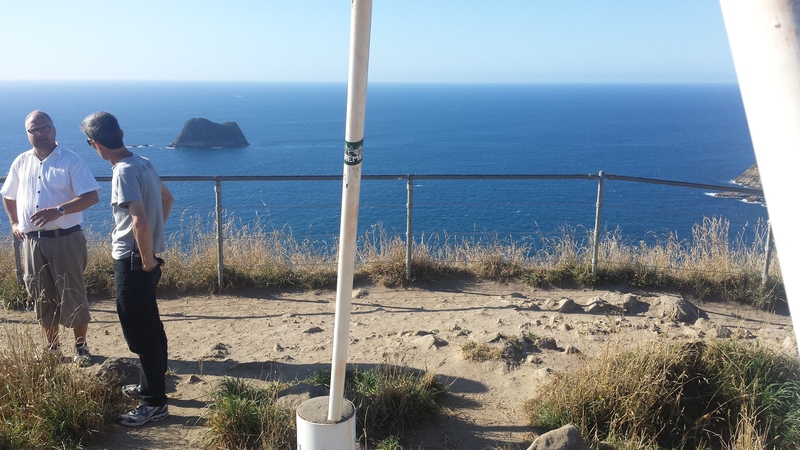 The Trig station offered a nice place to mount the antenna on and a tarp could be wrapped around it to stop the wind and any rain. After a nice chat with some of the visiting tourists and having taken a few photos of the area we made our way back down to the cars. With all plans set and gear all ready, batteries charged and weather reports checked but not looking to great there was a good chance of rain a completely unexpected event put a stop to using Paritutu Rock as our base of operations for this weekend. 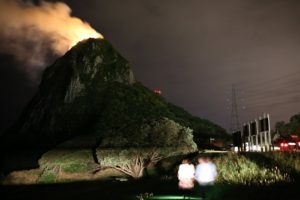 Friday night the rock was set ablaze and roaring with fire. A quick couple of messages were sent off to ZL2DRV and radio call was attempted to ZL1XTC, no luck reaching him, but secondary locations of Scott St lookout or North Egmont visitors centre were chosen. Come Saturday afternoon, I headed over to Scott St lookout and put a radio call out to ZL1XTC to advise of the location change. 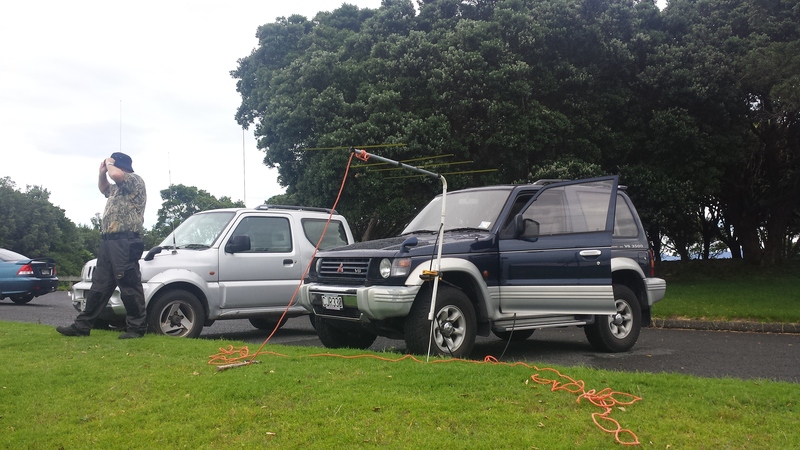 We soon met up and started setup of the Radio and Antenna, having been advised that ZL6VHF would be on the national system to help coordinate and advise of contesters locations, we made our check in and were advised that ZL1BHD was setting up on a hill between Taupo and Rotorua, and ZL1RS was up north somewhere (didn’t catch the location name) We pointed the beam over to ZL1BHD and were able to get a 5/9 signal from them on FM but was didn’t hear back, we had the same issue with ZL1RS. 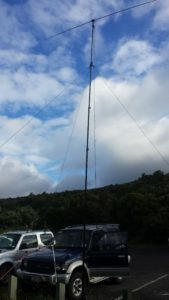 We gave Jonno ZL2JBK a call and tested the radio on 2m and 70cm SSB having never used it on those bands for SSB work we wanted to check the gear was working correctly and even with the antenna still pointed north we were getting great signals from ZL2JBK. So knowing the gear was working correctly and after some time trying other stations and chatting with Steve ZL6VHF, in order to get a contact further afield we made the decision to give the North Egmont visitors centre a try. A quick call to ZL2DRV who had not yet joined us to advise of the location change found that he wasn’t able to attend either. 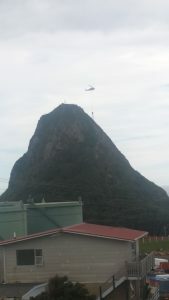 We packed up the gear and made our way up to our new location, a quick stop off home to collect some additional tent pegs to hold the antenna in place which we had found moved very easily due to the wind and had to be fastened in place with some guy ropes to stop it swing around. 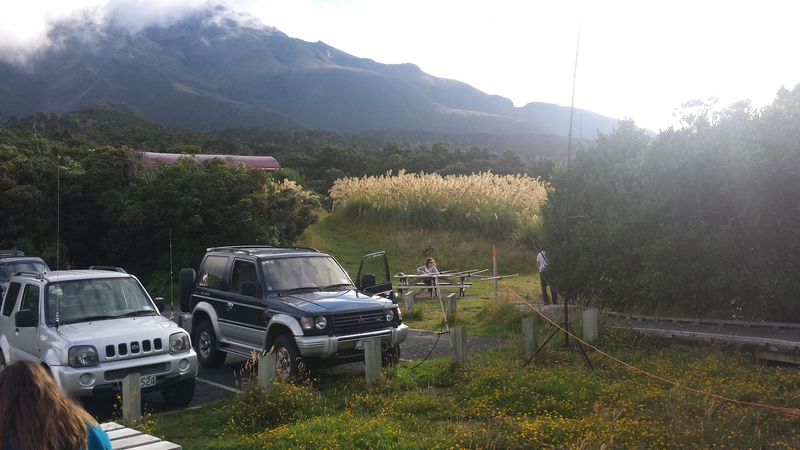 Once at North Egmont Visitors Centre top car park we quickly setup the 2m/70cm beam pointing it due north and easily made contact with ZL1BHD on 2m FM and 70cm. Getting reports of 5/9 on 2m and 4/1 on 70cm over a distances of about 200km, not a huge distance for the big regular stations but a great start for a first timer. It was then time to pull out the buddipole and set up on 6m, having never used the 6m band I was really keen to see how it would perform against the 2m contact we had already completed. Once all set up we had a quick tune around to pick up a beacon that came in 5/9+20 we announced on the national system that we were wanting to make a 6m contact. Again ZL1BHD came back and we got another 5/9 report on SSB, we then swapped between the bands putting out calls to see if anyone else could hear us, we were advised that Tasman ZL2EX was down around the Motueka area and we attempted to make contact but never heard a reply. We agreed that 6m wasn’t going to be a usable band and reconfigured the buddipole for 2m operation in time for another contact with ZL1BHD this time getting a 5/9+20 signal report, we tried for a while longer to see if we could get any other stations including Tasman near Motueka but unfortunately the mountain stood in our way blocking the LOS to the south island. At this point we called it a night after been out for about 7 hours and only making contact with 1 station we decided that it would be best to have a go another time.